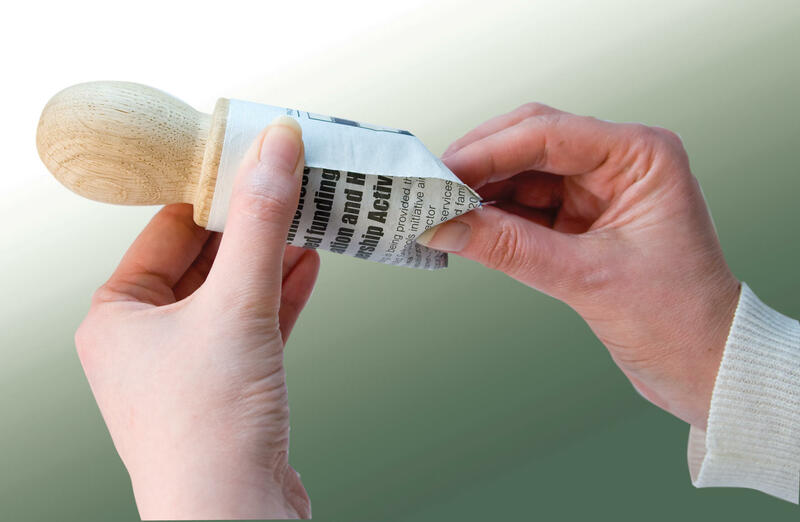 The award winning Paper Potter by Nether Wallop Trading is an ingeniously simple device to make biodegradable pots from strips of old newspaper. Say goodbye to plastic! Designed as a solution to the perennial lack of seedling pots in spring, it also successfully deals with the piles of a household’s accumulating newspapers! 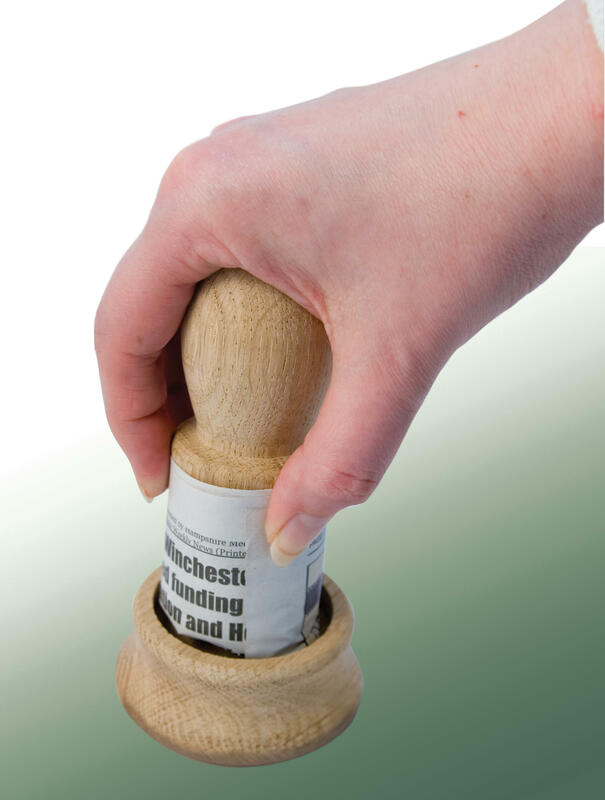 Both pieces of the Paper Potter are turned from FSC certified oak, grown in managed woodlands. The simplicity of the design enables you to make hundreds of pots in a very short time and once filled with compost, and the seed has germinated, there is no need to remove the plant – the entire pot should be planted in the ground. That way, the tiny little hair roots are not disturbed and there is a reservoir of moisture retained in the damp newspaper. The pot will break down naturally once it is in the soil. The paper plant pots are 4cm wide and up to 5cm deep. Perfect for seeds and small seedlings. The pots last for around six weeks, taking the plants through to being ready for planting out. 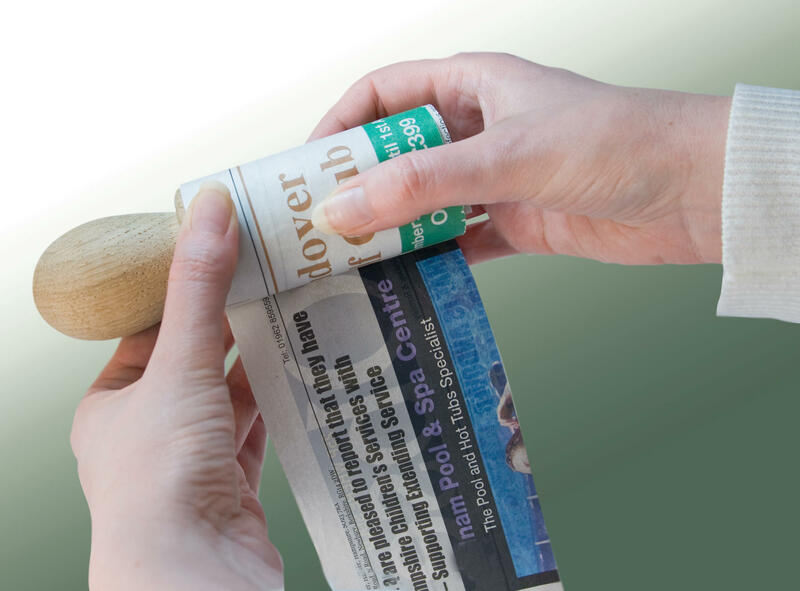 Remove the pot and fill with compost – the Paper Potter will bio-degrade when transplanted to the garden.